External Port: 2-6S Balance Socket-XH, Temperature Probe Socket, Battery Socket, DC Input, Micro USB Port for PC. 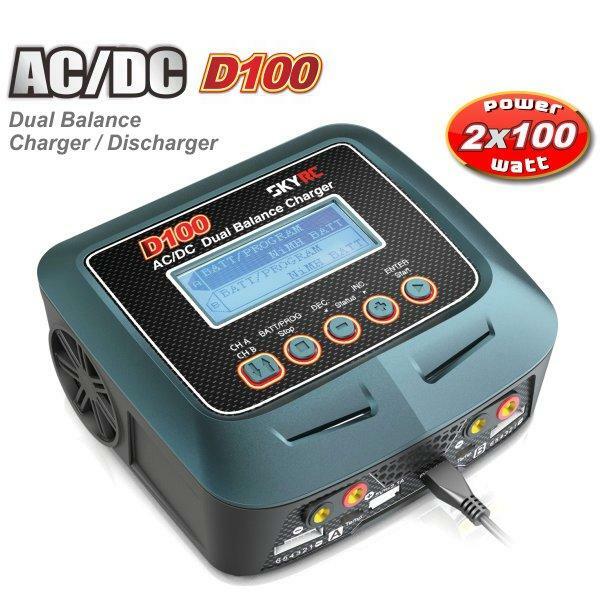 SKYRC D100 employs an individual-cell-voltage balancer. It isn't necessary to connect an external balancer for balance charging. The charger can store up to 10 different charge /discharge profiles for each channel. You can keep the data pertaining to program setting of the battery of continuous charging or discharging. Users can call out these data at any time without any special program setting.